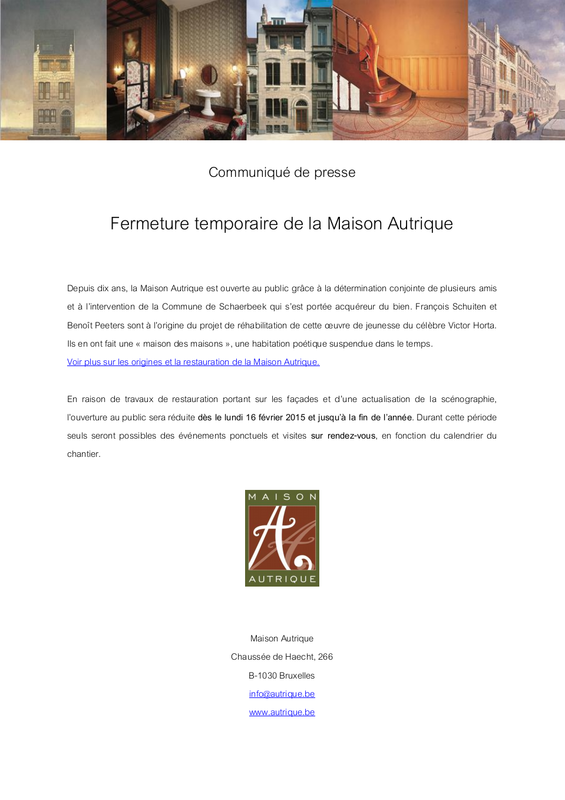 Maison Autrique in Brussels has been open to the public for already 10 years. Due to restoration works on the facades and an update of the scenography, the opening to the public will be reduced from February 16, 2015 until the end of the year. During this period access will be only possible for one-time events and tours by appointment based on the construction schedule. Are you in Brussels before this date? Visit Maison Autrique and enjoy the scenography by François Schuiten and Benoît Peeters. This blog post was created on 2015-01-31 at 09:23 and last modified on 2018-02-18 at 09:01 by Joseph Le Perdriel.